Another unethical practice is the gifting of food, especially food placed in plastic containers or with high sugar content. Animals that live in the wild who become habituated, lose their natural fear of man, and become dependent on the food provided. Not only are these animals becoming dependent on the food sources, but they are eating unnatural foods such as cookies, donuts and peanut butter. These foods are high in sugar and will cause health problems for the animals, such as tooth decay and potentially diabetes. If that isn't bad enough, they are chewing through the plastic lids and containers, inadvertently consuming the plastic. Studies on wildlife have shown that plastic kills animals as it builds up in their digestive tracts. The California Coastal Commission in their article “The Problem With Marine Debris,” had this to say about the plastic debris: “Birds, fish and mammals can mistake the plastic for food. Debris may cause choking and injuries, and with plastic filling their stomachs, animals may have a false feeling of being full and may die of starvation.” Researchers may be inadvertently killing off native wildlife while in pursuit of an unknown creature. There are videos of researchers leaving these food gifts, only to later return to a littered forest floor, plastic strewn about. It is appalling. 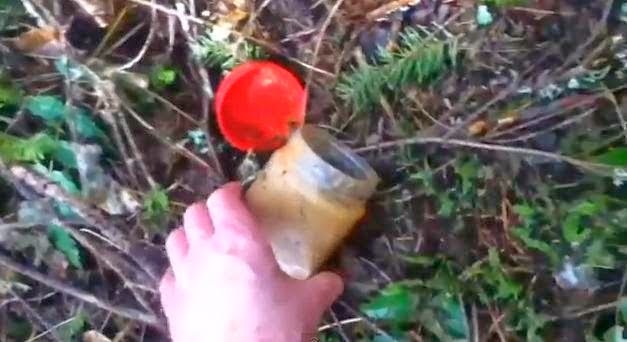 Animals, Bigfoot or otherwise, having gnawed at the plastic peanut butter jars have no doubt ingested the plastic. The high sugar content, with no dental hygiene, will cause the animals teeth to decay. No teeth, means, no eating. The animals again face starvation, and no teeth, also means, no defense from predators. Littering is also a crime, and these researchers face potential tickets as well. The researcher must also remember that when leaving these foodstuffs he or she is attracting small animals such as mice and raccoon, which then ingest this plastic or sugar and then are consumed by predators. The plastic has now made its way up the food chain to other animals, such as owls or hawks, which now face death as well. The animals having become dependent on the food gifts will then began to wonder into areas they previously avoided, such as suburban housing in search of the food. This creates a danger to domestic animals through the spread of disease and attack from larger species. This practice can also potentially dangerous humans as well, as animals become more aggressive over things like garbage. Food sources should be limited if not removed altogether, ensure the safety of all wild life. If a researcher feels the need to gift food sources, then limit the amount of food so the animals do not become dependent on it. By removing all plastics containers and their potential dangers, the researcher will make the environment safer for the animals. As an alternative the researcher could place non-sugar foods in cut melons, the rind will decompose and the forest will be litter free. The Humane Society of the United States in their article titled “Four Reasons Not To Feed Wildlife” says that, “Human foods aren't nutritious enough for animals and may cause serious health problems.” The article continues by acknowledging the fact that people may still choose to feed wild animals, and suggests a healthier alternative by saying, “healthy foods include seedless grapes cut in half, shredded kale, Swiss chard or romaine lettuce, and grains, including wheat, barley and oats.” Since feeding wildlife is not recommended and ethical researcher would refrain from the practice, or at least provide healthy alternatives in a limited fashion. The Bigfoot phenomena certainly warrants further investigation, as there are far too many witness sightings to ignore it. However, there needs to be some ethical changes made: no end justifies the means. It is the researcher’s responsibility to look after their teammates whether they are men, women or children, while taking care of the environment as well. By making these ethical changes in research practices, the researcher will be insuring the safety of all of his or her teammates, while at the same time looking out for the native wildlife, making the forest safer for all. This will also allow for mutual respect between parties, men, women, and children. Women will feel valued as teammates. The potential dangers from predators will be reduced. Children will be happier and safer while still exploring the topic, and grow up to be potentially valuable researchers themselves. The native wildlife will be healthier by removing the plastic and sugar from their diet, and the forest will become a prettier place for all to enjoy. By making these changes and becoming more ethical, researchers will be modeling correct behavior for future generations and setting a positive example for the current generation. Be safe out there, and happy hunting. British Columbia. Ministry of Water, Land and Air Protection. “Bears and Cougars.” Ministry of Water, Land and Air Protection, 2002. BC Parks. Web. 7 Apr. 2014. Crowser, Vivaca. “Be Prepared (for Wildlife Encounters).” Montana Outdoors. Montana Outdoors. Aug. 2009. Web. 23 Apr. 2014. “Fatal Wolf Attack Unnerves Alaska Village.” MSNBC. NBC News, 17 Mar. 2010. Web. 7 Arp. 2014. “Four Reasons Not To Feed Wildlife.” The Humane Society. Humane Society.org, 17 May. 2013. Web. 23 Apr.2014. Freitas, John and Montra. “Sasquatch Pheromones.” Blue North: Investigations & Expeditions into the Unknown. Blue North Productions. 29 Aug. 2009. Web. 22 Apr. 2014. Gunther, Kerry A. “Bears and Menstruating Women.” Bear Management Office, Yellowstone National Park, 2012. Web. 7 Apr. 2014. Hughes, Howard C. Sensory Exotica. Cambridge. Massachusetts Institute of Technology, 1999. Print. “Mountain Lion Kills Boy Hiking in Colorado Park.” The New York Times. The New York Times Company.19 Jul. 1997. Web. 22 Apr. 2014. Muris, Peter, and Andy Field. “The Role Of Verbal Threat Information In The Development Of Childhood Fear: “‘Beware The Jabberwock!’” Clinical Child & Family Psychology Review 13.2 (2010): 129-150. Academic Search Complete. Web. 15 Apr. 2014. “Pheromone Chips.” A Guide to Bigfoot Hunting. Bigfoot Hunting.com, 2001. Web. 7 Apr. 2014. 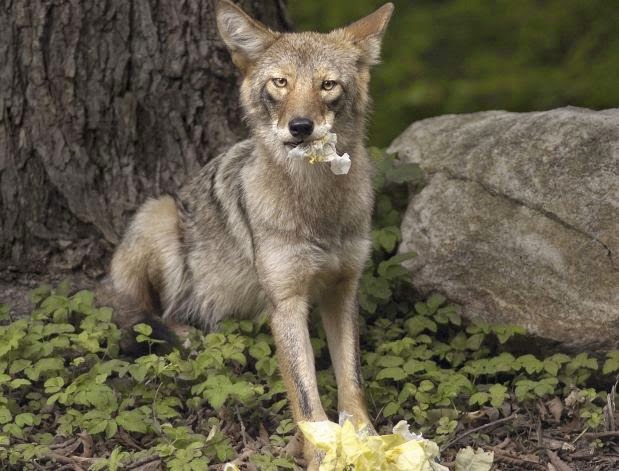 Menstrual Odors.” Journal of Wildlife Management. 55.4: 632-634. 27 Mar. 1991. Web. 7 Apr. 2014. “Report # 1090 (Class A).” Bigfoot Research Organization (BFRO). BFRO.net. 4 Jan. 2001. Web. 7 Apr. 2014. Tipton, Florence J. “What Are the Different Types of Female Pheromones?” Wise Geek: Clear Answers for Common Questions. Conjecture Corporation. 20 Mar. 2014. Web. 23 Apr. 2014. Another Tree Hugger... let's put trees, forests, and animals (in the food chain) ahead of mankind! During part 3 here, your true colors came to full light -- Your just another environ-whacko trying her best to make her statement on the world... (Oh, isn't the forest PRETTY?).... Why don't you try giving people (you know, your own kind) the benefit of the doubt, just for once! Do you leave a campfire smoldering when you leave? No, and they don't either... Do you leave your trash laying about, scattered to the wind, like you profess everyone else does? Nope, not you (probably living off the land (In Your CLAMPER))! Let's just color you Muhammed (the Muslim dude), so that all you do is correct, and if EVERYONE doesn't conform, then they're ostracized from Society (In this case, the Bigfoot societies). To make this blunt... go bore yourself, 'cause you're sure as hell boring me (an others)!! Well thought out, well researched article. Ignore the tree hugging comments, since the main theme to me seemed to be safety to people. Protecting animals and the enviorment is not such a bad idea. The problems with habituated animals, or animals that have found it easier to eat the trash we leave is a great concern. Look at Northern NJ and the problem with the bear population as the bears have become less concerned of humans because of easy meals from dumpsters and trash cans. The use of children as bait is horrifying. I've taken my son to the woods a few times, not as bait but as a father son trip. Even then. I am always concerned with his safety. The mensuration bait, I agree pheremone chips are a better, and more ethical alternative. With Bigfoot obesity on the rise, we must do our part by offering healthy food alternatives. If your overweight, you are essentially a high calorie treat for a huge 10 footer looking for a man-snack. Stay home and send one of your skinnier friends out to the woods instead. This will ensure a happier and healthier tomorrow for all of our carnivorous furry friends of the forest. You perform precision measurement work. Perhaps you need to weigh extremely precise amounts of products. Or you use very sensitive microscopes for your work. Or, you work in astronomy or oceanography and need to measure precise changes in waves, surface structures or refractive indexes. I believe a lot of assumptions are made in this article. I would like to have seen sources, like actual examples of bigfoot bitting through peanut butter jars and consuming plastic instead of assuming that happens. I've read examples of them unscrewing the lids off of jars, including peanut butter jars. As far as tooth decay and diabetes, I've wondered about tooth decay, but how much of these processed sugary foods would they need to eat for that to be a problem. A lot of researchers who do baiting in the field are only out there 2 or 3 times a year. But I agree it could be a problem if someone habitually fed bigfoot on their property long term.